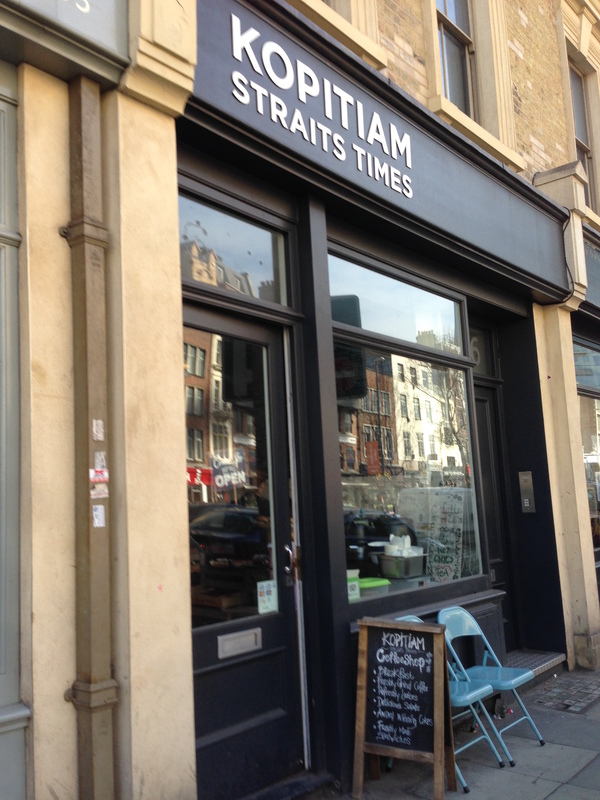 Despite the name, “Straits Times Kopitiam” is in Aldgate, London. Kopitiam translates to “coffee shop” and they can be found throughout Singapore and Malaysia. It’s not just coffee though, Kopitiams traditionally sell a wide range of fantastic noodles & rice dishes which will be taken for breakfast or lunch while chatting with friends. A couple of large communal tables in this Aldgate kopitiam provide the space for sitting down and chatting with your neighbours, while the selection of food on offer is very western, with sandwiches and cakes replacing some of the more typical Asian dishes. Although this is a bit of a shame, it is perhaps understandable. Hopefully, as time goes on we will get more great SE Asian food here and it will become more economically viable to sell it. Still, the Straits Times Kopitiam is, just as its SE Asian namesakes, a place where you can sit and enjoy a drink in very friendly surroundings. As we were sitting there, various people came in to chat about the crayon drawings on the wall at the back while messages were suspended on bits of string around the sides of the cafe. Such touches add to its friendly, almost intimate, social atmosphere. You may not know who roasts the coffee here but where else could you get a Teh halia (a type of tea with ginger), a hot chocolate with chilli or, a Milo Dinosaur (if you like iced drinks it is probably better for you to try it rather than have me describe it)? A feature common both to the Straits Times Kopitiam and many such places in SE Asia though is the cups, enamelware cups with a navy rim. Such cups were apparently ubiquitous until fairly recently when they faded from fashion, though they are now back in a type of retro-chic, Singapore style. The great advantage of metal cups was that they were cheap and easy to produce. 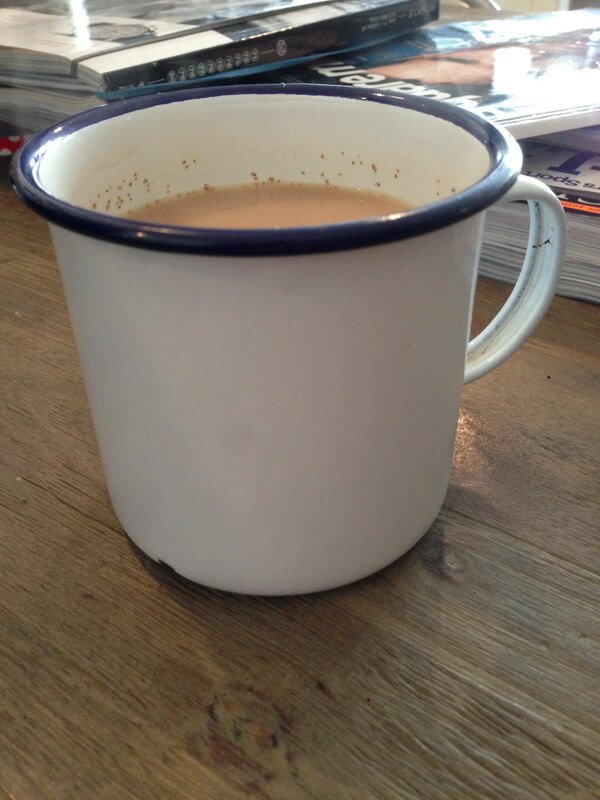 So in a world before plastic, a metal mug was the way to go. That said, metal crockery and cookware can tend to rust, or look a bit ugly and so the cheap metal cups were often enamelled to produce the type of mugs that are now used in Straits Times Kopitiam. The story of how the mugs are enamelled leads us to the story behind the Giant’s Causeway in Northern Ireland. How? Well, enamelling uses the fusing of a glass onto the metal by heating it to approximately 800 C. Glass can be quite transparent and colourless so what gives it the white and blue colouring of the mugs used in the Straits Times Kopitiam? The blue is fairly easy, it is caused by the addition of metal oxides such as cobalt, but the white? That is harder to pin down and although some investigation suggested that some chemical additives could be used to make the enamel more opaque, it was also suggested that the opacity of the white enamel is due to the crystallisation of the glass. When a substance is heated above its melting point and then cooled, crystals can grow in it, the size and shape of which depend on the heat treatment of the material, for example how fast you cool it from its melting point. For enamel the material is glass but this crystallisation process can also be seen in chocolate. The heat treatment makes the difference between the formation of long crystals that give chocolate a hard, crisp sheen and smaller crystals that make the chocolate more dull, which is why the technique of tempering chocolate is so tricky. James Keir (1735-1820) wrote a study in the Royal Society’s journal Philosophical Transactions that described how glass crystallised as it was cooled. In particular he noted that cooling the glass slowly from its molten state produced a white and opaque type of glass that was at the time being called Reaumur’s porcelain. 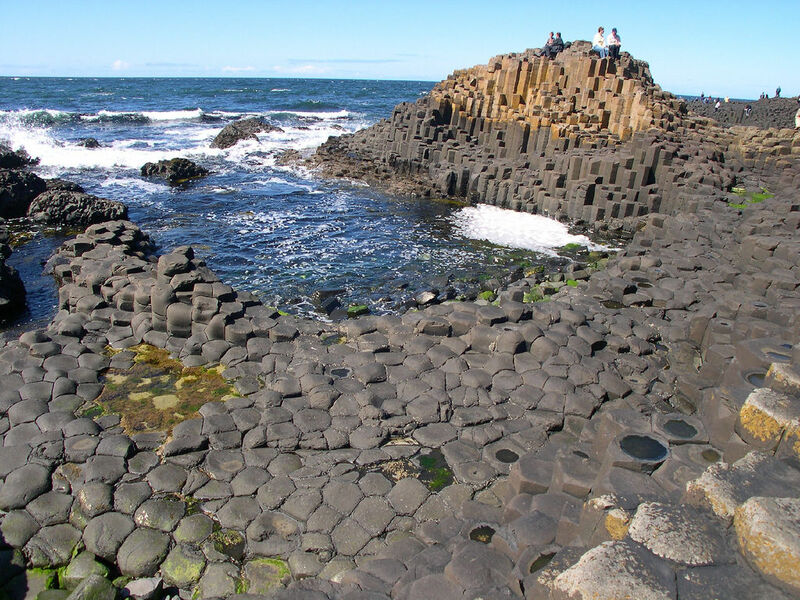 By studying the shape, form and cause of these crystals in glass, Keir made a sudden extrapolation: could the regular shapes of the Giant’s Causeway or the pillars of Staffa be caused by crystallisation of molten lava? This is indeed the explanation that we now have of the Giant’s Causeway*. Rather than being put into place step by step by a road building giant, the slow cooling of molten lava produced the crystal structures that are now visible on the shoreline. “No just objection can be drawn against this analogy from the magnitude of the former [lava] compared with the minuteness of the latter [glass]: for the difference of size between the small vitreous crystals and the stupendous basaltic columns, which support mountains, islands, and provinces, is no more than is proportionate to the difference usually observed between the little works of art and the magnificent operations of nature“. Does any more need to be said? * Note added 21 Oct 2015. It seems that we’re still debating how the Giant’s Causeway was formed. A recent article (here) suggests it is about how things crack as they cool rather than about how crystals form. However, the link to cooling glass and cooling ceramics remains. Keir was certainly on to something.